local Green Eats is our way of blending a love of food with the warmth of hospitality. 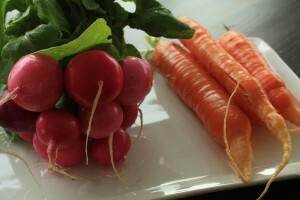 We specialize in crafting meals featuring fresh vegetables, a variety of protein and healthy grains. All meals are homemade from scratch, using the best ingredients. Cooking and enjoying the pleasures of eating are ingrained in Chef Krishna’s life. Born in India and raised in Virginia, she was always surrounded by family preparing memorable, authentic dishes. In college, while obtaining a Bachelor of Science in Business Management from George Mason University, Chef Krishna frequently cooked for friends to nourish her creative outlet. In 2008, she pursued her dream by enrolling in Cincinnati State’s Midwest Culinary Institute. After graduating with a Culinary Arts Certificate, she realized her dream and opened local Green Eats. It was an instant success in the Cincinnati area, and clients often requested her to prepare weekly meals or cater small dinner parties and even large gatherings. Now she is creating delectable foods in kitchens around Atlanta, Georgia. 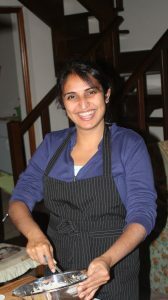 In her free time, Chef Krishna tests recipes curated from magazines, books and the internet to cook for you. And when she isn’t cooking for you, she is pursuing her other passion: traveling and tasting regional foods and local delicacies.